Our Cooking Testers are trying out gourmet marshmallows from the London Marshmallow Company for this week's #KitchenTest and baking Marshmallow Slider Cupcakes, Sugar And Dairy Free Hot Chocolate, Marshmallow Popcorn and Hot Chocolate Cupcakes for you to recreate at home! 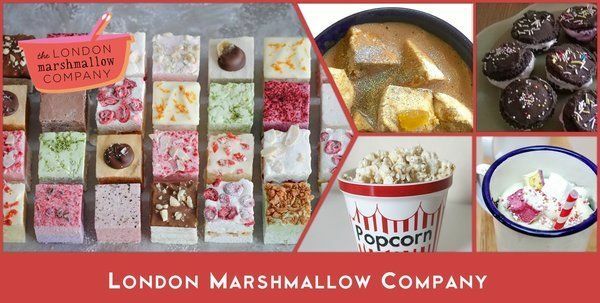 There's no better combination that hot chocolate and marshmallows and these gourmet flavours from the London Marshmallow Company added an extra luxurious treat to these cupcakes. I found the marshmallows very tasty. They are most definitely high quality marshmallows. This is evident from the taste & look of the marshmallows. They were very easy to work with & had some very nice combinations of flavours. They would make a nice gift for someone special. These marshmallows were more like tiny, super fancy cakes than any other marshmallows I've had before. Really yummy flavours, I even loved the lemon and blueberry and I'm not much of a fan of sweet things without chocolate or caramel, plus the texture was gorgeous. These Marshmallows from the London Marshmallow company were so divine, little velvet pillows that you can stuff into your mouth and still look kinda dainty! They have such a great variety of flavours and the Christmas themed box was really fruity and festive. All in all we can say it was an epic marshmallow adventure!